A 29-year-old mother of five has been jailed for a year and six months theft, being deceptive and forgery. Fa’atonu Lotonu’u, a former employee of SL Refrigeration, was sentenced by Justice Mata Tuatagaloa in the Supreme Court in December last year. She was found guilty of 13 charges of theft as a servant, 12 charges of obtaining by deception and 12 charges of forgery. According to the summary of facts by the Police, on 12 separate occasions, the defendant would tear out blank cheques from her employer’s cheque book and from 07 June – 28 July 2015 she forged the owner’s signature on the company cheques, and used them to purchase goods from various companies. The total amount she stole from the company was $15,374.54. The defendant told the Probation service her actions were driven by anger and hard feelings towards her employer because her employer was very disrespectful and unkind to the employees including her. The defendant admitted to the probation service of her stealing the company cheques and forging the owner’s signature that she had learnt by heart. She used the forged cheques for personal and grocery shopping for her family. 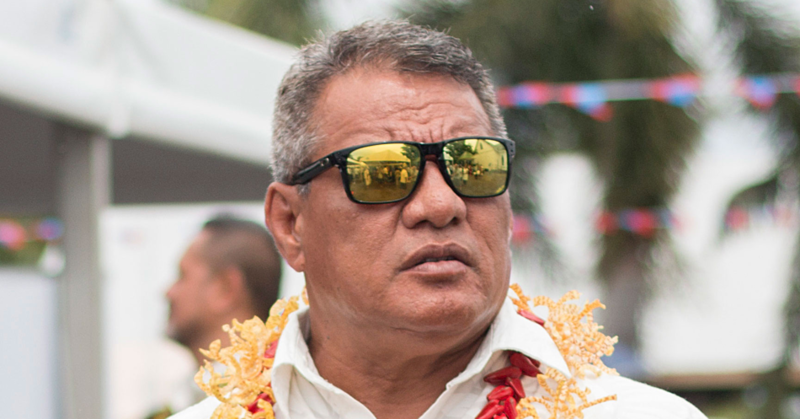 Justice Tuatagaloa noted that the defendant is a first offender and her husband told the probation service that their family financially depends mostly on the defendant. The defendant’s husband is said to be shocked and disappointed with the defendant for what she has done. 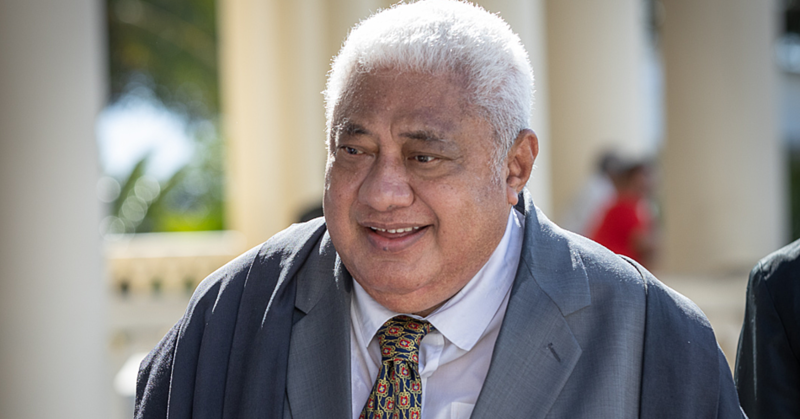 Justice Tuatagaloa noted that the most obvious is the breach by the defendant of her employer’s trust in her. She pointed out this was not a one-off incident of fraud but 12 separate incidents from 07 June – 28 July 2015. This shows that the offending was planned and pre-meditated. 1. 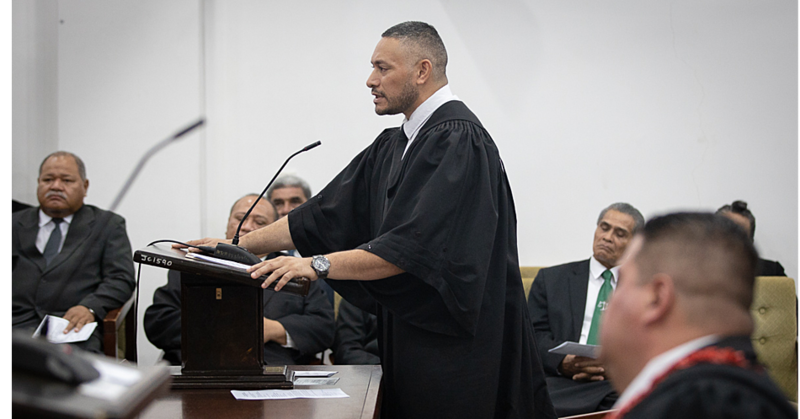 The defendant Faatonu Lotonuu appears for sentence on thirteen (13) charges of theft as a servant, twelve (12) charges of obtaining by deception and twelve (12) charges of forgery. 2. The charges of theft as a servant under s. 161 of the Crimes Act 2013 which s. 165(e) provides a maximum penalty of 10 years’ imprisonment for each charge. The offence of forgery under s.194 of the Crimes Act 2013 provides for a maximum penalty of 10 years’ imprisonment for each charge while the offence obtaining by deception under s. 172 of the Crimes Act 2013 to which s. 173(a) provides for a maximum penalty of seven years’ imprisonment. 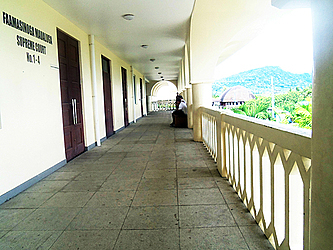 • The defendant was an employee of SL Refrigeration (Samoa) Ltd as Administration Officer. • On twelve (12) separate occasions the defendant would tear out blank cheque leaves from her employer’s cheque book. • The defendant on twelve (12) separate occasions from 07 June – 28 July 2014 forged the owner’s signature on the company cheques. • The defendant took the forged cheques and used them to purchase goods from various companies. • The defendant in receiving the said goods from the forged cheques also stole monies from her employer by way of the purchases she made through the said cheques. • The defendant on one occasion on 01 June 2014 stole cash of $1,569.07. • The defendant stole $15,374.54 in total. 4. The pre-sentence report (PSR) shows that the defendant is 29 years, married with five children between the ages of 13 years old to 1 year old. The defendant finished school at Year 11 and had worked in several employments mainly as cashier or shop assistant. In 2010 she started working for SL Refrigeration Company. She has been terminated as a result of this offending and is currently unemployed. 5. The defendant told probation service that her actions were driven by anger and hatred feelings towards her employer because her employer was very disrespectful and unkind to the employees including herself. 6. The defendant admitted to the probation service of her stealing the company cheque leaves and forging the owner’s signature that she had learnt by heart. She used the forged cheques for personal and grocery shopping for her family. 7. Even though the defendant had personally apologised to the owner of the company she worked for, the owner felt betrayed and did not accept the apology. The owner told probation service that this is not the first time the defendant had stolen from the company. The first time she forgave the defendant and still employed her. This time she leaves the matter with the Court. 8. The defendant is a first offender. Her husband told probation service that their family financially depends mostly on the defendant. The defendant’s husband is said to be shocked and disappointed with the defendant for what she has done. The testimonial from the defendant’s Pastor of the Seventh Day Adventist Church attests to the defendant’s contribution as a Sunday School teacher and a proactive person in church work and youth activities. It is however noticeable that there are no testimonials from previous employers of the defendant given that she had worked for various other employers prior to SL Refrigeration Company. Those testimonials from previous employers would have provided the Court as to her character as an employee which is an issue with her offending which offences are those of dishonesty. I therefore do not place too much weight on the testimonial by the defendant’s pastor. 9. The victim from the summary of facts is a refrigeration company operating from Lotopa. There was no other information provided by the Prosecution or an impact report from the company on how they are affected by this offending. 10. There are several aggravating factors of this offending. The most obvious is the breach by the defendant of her employer’s trust in her. The defendant was employed as Administration Officer and would obviously have access to office cash and the cheque book even though she is not one of the signatories. The defendant by stealing the cheque leaves and forging the owner’s name and then using those cheques for her personal use is a serious breach of trust. 11. Secondly, this was not a one-off incident of fraud but twelve (12) separate incidents from 07 June – 28 July 2014. This shows that the offending was planned and pre-meditated. The defendant by learning off by heart the owner’s signature shows a high degree of pre-meditation. 12. Thirdly, is the amount stolen of $15,374.54 would be a significant amount to SL Refrigeration Company. As such, it would definitely have an impact on the company’s books and would affect its operations for a certain period. Samoa is a small country and work is limited therefore the competition will be very high especially so if there are other companies providing the same service. 13. There is no aggravating factor personal to the defendant. 14. There is no mitigating factor relating to the offending. As to mitigating factors personal to the defendant I have decided not to treat the defendant as a first offender. The first offender status of a defendant on its own does not say or show whether the defendant was of good character prior to the offending. The first offender status is therefore neutral. Something more needs to be shown in order for the first offender status of an accused to be counted as evidence of previous good character. 15. The oral testimonial of the husband in the pre-sentence report of the defendant as a ‘trustworthy’ wife is contradictory of the offending she committed. 16. The owner of the company the defendant worked for told probation service that this was not the first time the defendant has stolen from the company but this is the first time they have brought the matter to the law. 17. The only mitigating factors are the defendant’s personal apology which shows remorseful and acceptance of her actions and the defendant’s guilty pleas. I will give 25% discount for the defendant’s guilty plea. 19. Due to the number of offences committed I will apply the totality principle. 20. For the offence of forgery and theft as a servant with a penalty of maximum 10 years’ imprisonment and given the aggravating factors relating to the offending I take 4 years starting point, less six months for the apology and then less 25% for guilty plea. This leaves two years and three months. 21. The defendant is convicted to two years and three months’ imprisonment for each charge of theft as a servant and forgery. 22. For the lesser offence of obtaining by deception the defendant is convicted and sentenced to 18 months’ imprisonment for each offence. The terms of imprisonment are all to be served concurrently.